Thank you to all of you who helped make this season another milestone year for Abbey Gardens. 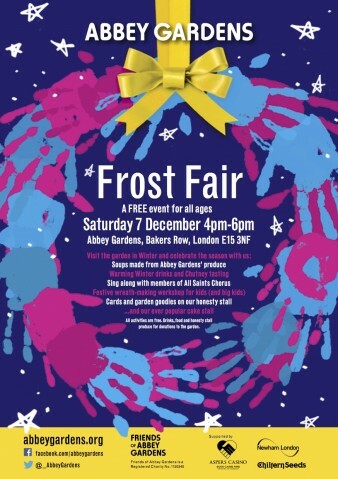 But the season would not be complete without our Frost Fair on December 7th from 4 - 6pm. The event is free, so come out, enjoy warm Winter drinks and home made soups and sing along with members of All Saints Chorus. There will be a wreath making workshop, chutney tasting and of course, our ever-popular cake stall. We look forward to seeing you on Saturday 7th !